Today is our dear friend Vardhini's birthday who blogs at Cooks Joy. When I started blogging she was one of the bloggers whom I looked with much respect and admiration. She is so versatile and her blog contains all types of vegetarian recipes in different cuisine and also lot of baked goodies. Also I love her pictures. She is also a very wonderful person and am so glad that I got her friendship. I really admire how she balances work and family, still she finds time for blogging. Birthdays are meant to be celebrated and we friends have planned for virtual birthday treat to her. I selected Strawberry Granita from her space for the celebration. Since it is summer and very hot outside, something cold will always be welcome. I would say it is quick to make too , that is it takes only few minutes to prepare but the idle waiting time in the refrigerator for it to set is more. This is very easy to make and so delicious and my kids just loved it. In a blender first add water and sugar and blend till the sugar is completely dissolved. Then add the strawberries and lemon juice to the sugar-water mixture and blend till it is a smooth. Transfer this mixture into a freezer safe bowl preferably stainless steel, since scraping is involved for making the granita. Place it in the freezer and after 3 hours when it is partially frozen, take it out and scrape using fork and place it back in freezer for atleast 8 hours preferably over night. Just before serving scrape it again using fork in all the sides. Scoop the granita to the desired serving dish and serve. 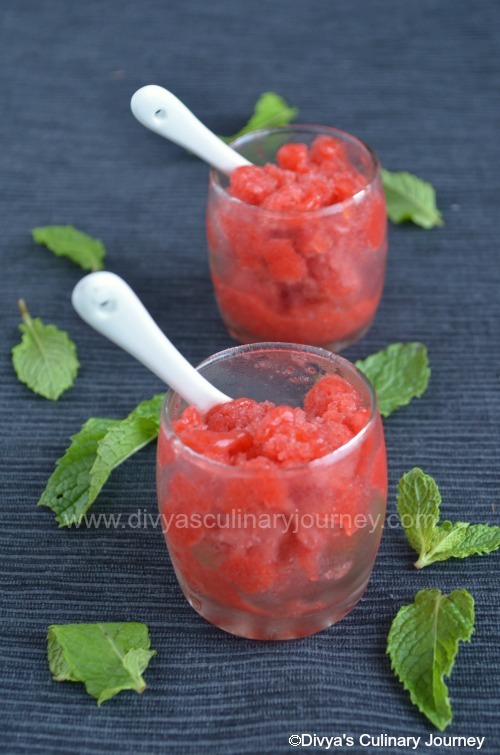 I have posted one more granita recipe, Mocha Granita sometime back. If interested, do check it out. I wish, I could have this now..very chill and refreshing. Perfect for this blasting heat!! Wow.. Such brilliant clicks.. Apt treat for summer !! 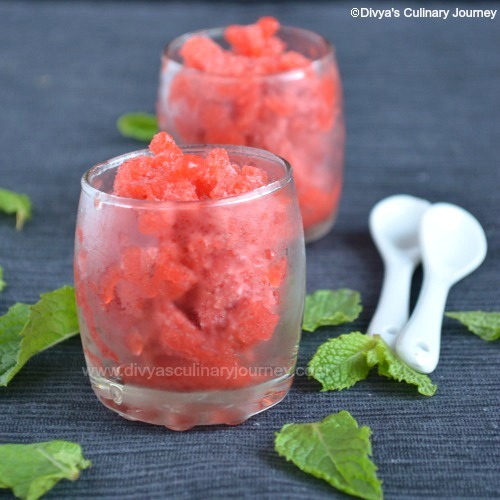 sanjakshay love this strawberry granita, very refreshing n perfect for the sunny days...luv ur clicks n presentation..nice! 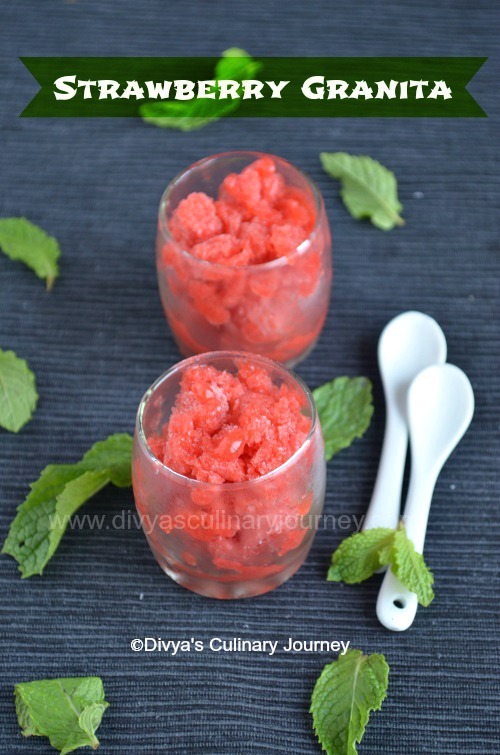 Very refreshing and incredible summer treat..Prefectly clicked. 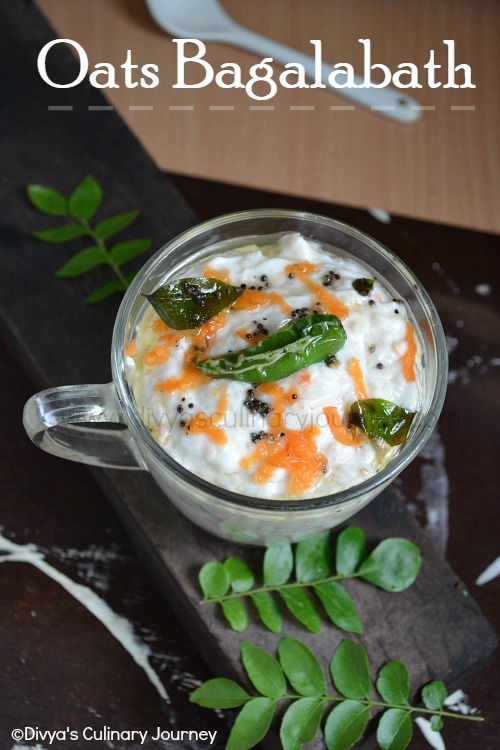 Kids would love this in summer..
Yummmm .. I had been thinking the whole of this season to make this again, but just did not get to it. Looks terrific and glad that the kids liked it. Thank you for the wishes Divya. Its a beautiful transformation, the berries combined with 3 other ingredients. I am full of admiration on the outcome and certainly home made desserts are the best in the world and yours is the spot on. Love this! 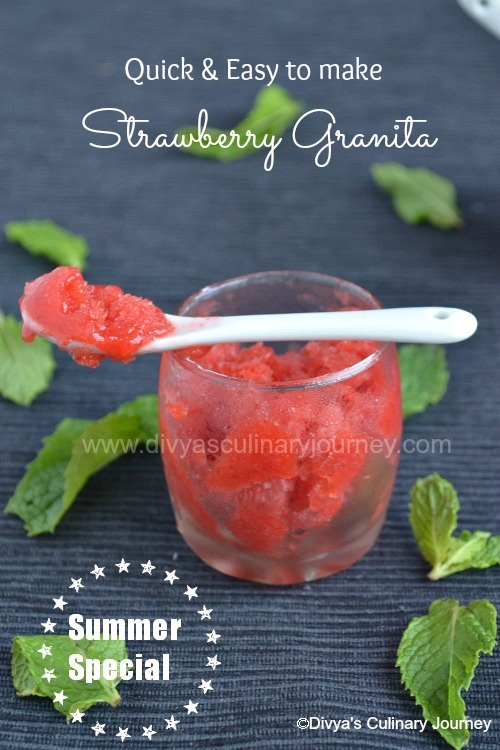 !perfect clicks for a perfect granita! Perfect treat for the summer.. Happy Birthday and it is indeed a perfect summer refresher.